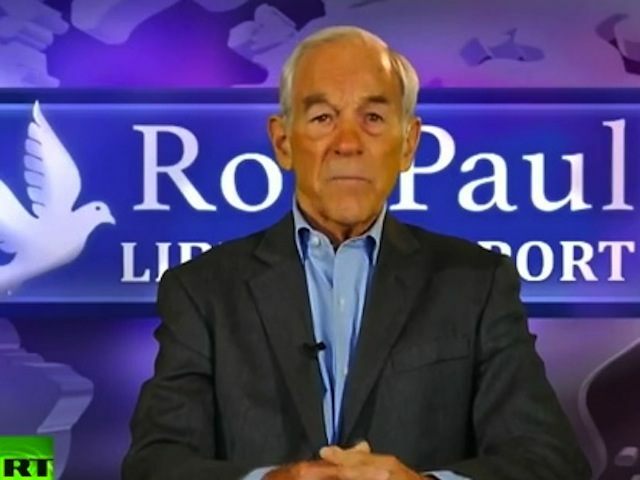 Former presidential candidate Ron Paul, the father of presidential contender Sen. Rand Paul (R-TX), said Wednesday that Donald Trump will likely be the Republican presidential nominee. “Well, at this point, it certainly is realistic,” Paul said on Newmsmax’s Steve Malzberg Show. “If I had a limited sum of money [to bet]… I probably wouldn’t invest a whole lot,” Paul added. Paul also discussed his 2012 presidential bid and how difficult it was for his campaign to get coverage in the media. “Remember, the coverage was tough to get,” Paul said. Paul also dumped on polling, says it can be rigged. As usual the media can’t get anything right. I responded to a poorly worded question​,​ agreeing that it was “realistic” at this point that ​T​rump could win, not that he will win. In fact​,​ I then proceeded to say not one vote has been cast and this has all been trumped up by the media and rigged polls for entertainment. Rand is going to surprise everybody because freedom is popular and when it matters voters won’t cast their lot with an authoritarian like Trump.